Though an LLC (limited liability company) can provide a host of benefits to its owners, there are also several potential pitfalls when making decisions. Avoiding decision-making problems is far easier when you are aware of governing laws and how they can affect your business. Owners of LLCs have a lot of freedom in deciding the scope of management and owners’ roles, especially when it comes to decision-making. Owners (usually known as “members” in an LLC) can choose to personally manage the business and keep all the power of decision-making, or they can choose to assign managers to make the decisions of running the business. When power is delegated, members usually vote only on big decisions, like changing the operating agreement or articles of organization, or taking on a new member, or selling the company. Unless the articles of organization specifically state otherwise, the Arizona state law default is that the LLC will be member-managed. A manager-managed LLC with several owners is very similar to a corporation. The managers are like the Board of Directors, and the owners are like the shareholders. Members (owners) usually vote only on big decisions, like changing the Operating Agreement, or Articles of Organization, or taking on a new member. Managers manage the daily running of the company. If a member disagrees with a manager’s decisions, it can create problems. In a manager-managed LLC, to change a decision made by a manager, the owners may need to file a derivative suit, like shareholders petitioning against a board of directors. A member-managed LLC is not immune to problems in decision-making. Decisions are made by majority vote of the members, who are all jointly responsible for running the company itself. In Arizona, state law sets the default that each member, even if there are disparities in ownership percentages, has equal say in decision-making. When multiple owners with different amounts of ownership in the company try to make a big decision, it can often result in problems and discord. This discord can be avoided when the operating agreement and articles of incorporation include rules about voting and decision-making—agreed upon by all members in advance. The most important way to avoid and resolve problems is to clearly define each person’s roles in the operating agreement and the articles of organization when the LLC is created. You can decide between manager-managed or member-managed, you can define each person’s voting rights and decision-making responsibilities, you can set members or outside individuals as managers, and many other things. Each company has unique needs and circumstances, and the LLC operating agreement should be tailored to those needs to provide the LLC with lasting protection. 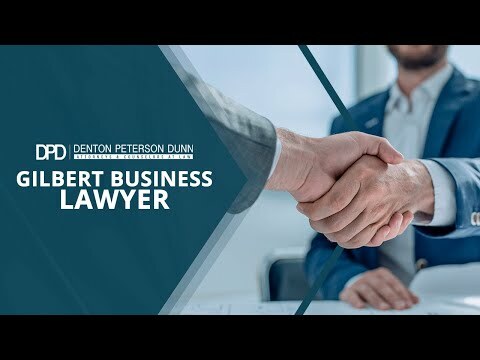 The experienced Arizona business attorneys at Denton Peterson can help you create your LLC in the most efficient and advantageous way.